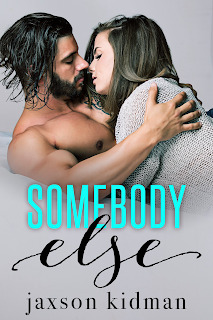 Congrats to Jaxson Kidman on the release of SOMEBODY ELSE! Check out these early reviews of the book along with the cover and blurb. Oh, and don't forget, right now the book is $1 off list price! He was the one I loved. I was the one who walked away. I was never supposed to see him again. What I have now looks perfect on the outside. The car. The career. The house. The neighbor-slash-best-friend. The handsome man holding my hand. We can talk about everything. Except the past. That's good enough to get by. When Brice comes crashing back into my life, it's not fate, it's torture. My quiet, simple, perfect life is exposed, just like my still-healing heart. I don't intend to hurt anyone. But with two hearts demanding my love, I have no choice.